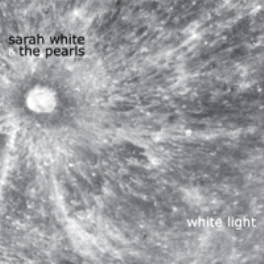 White Light is the first full length from Sarah White in over five years and this time shes joined by her new backing band, The Pearls. 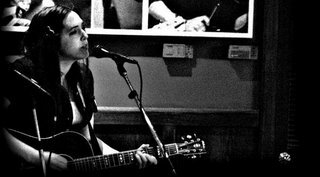 White Light houses a wonderful collection of folky/country / rootsy songs featuring White's "distinctive bourbon and rolling tobacco soaked vocals." I just love that line and had to throw it in. When you get a label describing it's female vocalist as having bourbon soaked vocals, man you know it's good. The album was recorded in Esmont, Virginia throughout 2005, and is released through Antenna Farm Records. White Light houses 11 amazing songs that are near perfect in every way. The songwriting is on the mark and is surrounded by excellent intrumentation to keep White in the lines. The real stand out here, especially if you've never heard Sarah White, is the beautiful sound this songbird makes. Her vocals are so addictive and crave your attention. Below are two tracks that you have to hear and White Light easily climbs the ladder to the top of 2006 releases.